Uploading Content Using FTP/s, finding your user name and changing your FTP password. Use FTP or FTPs on port 21. Please disable or enable passive mode if you can not connect. FTP server address. Enter your server name from your welcome email. This can also be found in the address bar above. Do not include the https:// or :8443/xxxx. FTP username. This is in your welcome email or see below to locate. FTP password. This is in your welcome email or see below to reset. You will also require a program called an FTP client. There are many free FTP clients available on the Internet, such as FileZilla. FileZilla is free for MAC and PC. 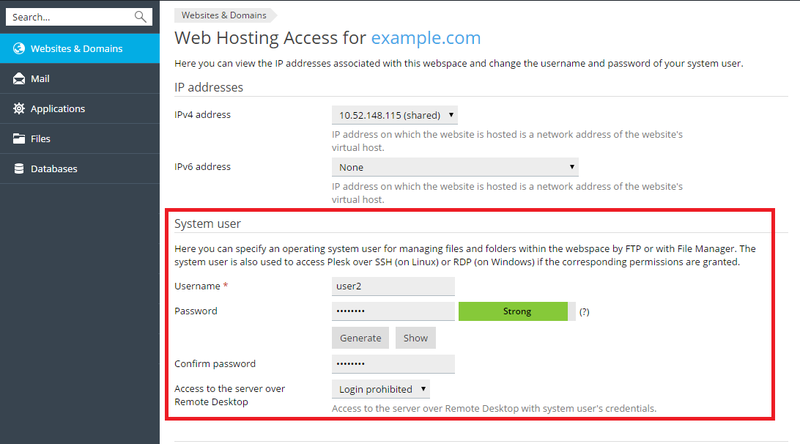 To view your user name and change it's FTP password, go to Websites & Domains > Web Hosting Access.